George: I’ve been one of the few people in my circles that hasn’t been completely enamored with every Pixar film. I know this is a heresy, but sometimes the movies just haven’t clicked with me. It’s usually a shock when people find out that Finding Nemo and Wall-E are two of my least favorite films. Which is why I still have trouble when I think about the Inside Out blu-ray. Part of me really liked it and another part really didn’t. Jeff: Pixar films have always tugged at the heart strings to me, even the ones that I don’t fully connect with. That said, plenty of people adore everything they put out, and rightfully so, however, much like George, I felt the same way when it came to the Inside Out blu-ray. 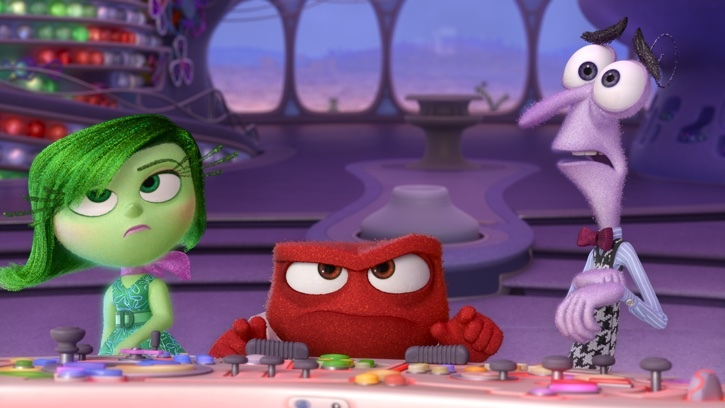 Disgust, Anger and Fear must cope with unexpectedly being in command of Headquarters in Disney•Pixar’s “Inside Out”. ©2015 Disney•Pixar. All Rights Reserved. George: I saw it in the theater with my kids and the inimitable Captain Leo. My youngest son liked it so much that he saw it a second time. Captin Leo raved about the film and reviewed it for us. I’ll admit that it’s one of the most beautifully animated films. It’s so close to photo-realism that the backgrounds and props look amazing. But, something left me a little sad. 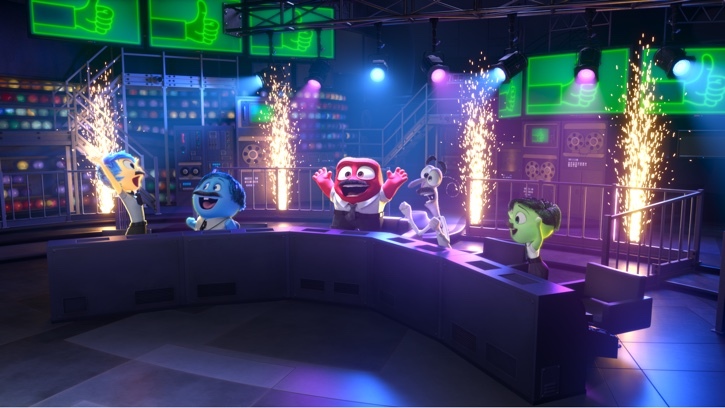 Check out Captain Leo’s review of Inside Out on Communicore Weekly (the Greatest Online Show™)! Jeff: I absolutely agree. The visuals of the Inside Out blu-ray are gorgeous, top notch, and made other adjectives that I can’t think of right now. Pixar never fails with that stuff. I even really enjoyed Pixar’s look at human emotions. It was fascinating to see how things could be governed in our brain, but at the end of the day, Joy, one of our lead emotions, is an island surrounded by four other negative emotions in our collective heads. And for some reason, that really bummed me out. George: The voice casting was amazing, but I did wonder if the Inside Out blu-ray was too heavy for most people. I was very glad that Pixar chose to look at depression and sadness–anytime that mental disorders can be brought to the forefront is important. Still, it did seem a little formulaic. I remember a meme that looked at the Pixar films: Toy Story: your toys have emotions; Bug’s Life: insects have emotions; Finding Nemo: fish have emotions; Cars: your car has emotions; Inside Out: your emotions have emotions! Jeff: All the emotions! At the end of the day, though, it’s a Pixar film, and it’s a hit. People love it, and it tells a pretty heart-warming story. I was very surprised, however, by the overwhelming amount of extras with the disc. So much that they had a whole separate disc to contain them. I’ve said it a million times, and I’ll say it again: I am obsessed with this stuff. The fact that they included so much is a great thing. Pixar always delivers on extras. 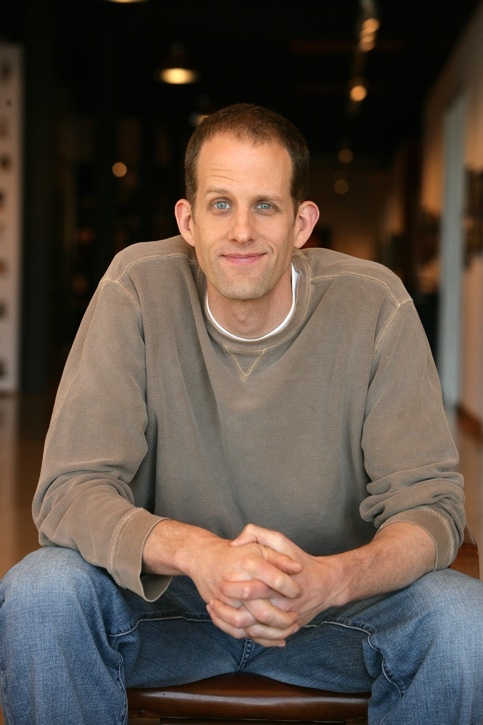 INSIDE OUT Director Pete Docter. Photo by Debby Coleman. ©2015 Disney•Pixar. All Rights Reserved. George: I agree. We’re not bashing the Inside Out blu-ray by any means, but it just wasn’t my favorite. Now the extras were pretty good. There were several in-depth scenes with Pete Docter and many of the cast and crew that created the film. It really was quite eye-opening, especially after having read so many books about the early years of Disney animation. Making a CGI-based films is just as difficult as hand-drawn. 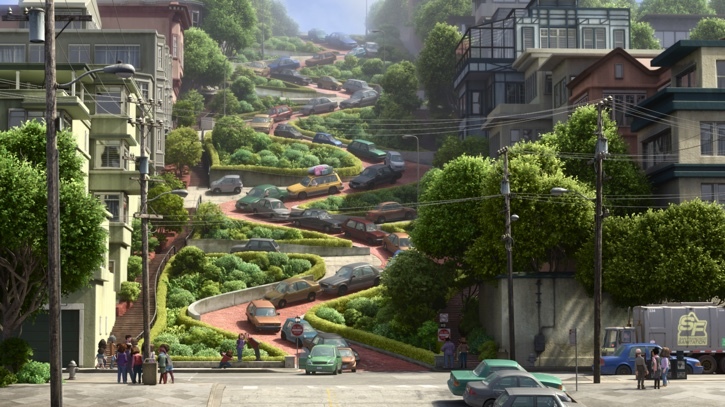 Jeff: Any time we get a look into Pixar’s process is always a treat. They never skimp in this area, and getting to see every aspect of the film, from initial concept to animation to the music, is just a great peek behind the curtain. It never ceases to amaze me how much love and heart goes into the creation of the films…and how much film they all seem to be having making it. George: Lava and Riley’s Date were both wonderful shorts and I’m glad they were included on the Inside Out blu-ray. Riley’s Date takes us back into the minds of the “people” from Inside Out and brings some new insight into the characters. Lava is a beautiful Hawaiian tale that moves me every time I see it. Jeff: “I have a dream…” will get stuck in your head for days. But at the end of the day, if you’re a Pixar fan, you can’t go wrong with the Inside Out blu-ray. It’s packed with extras and it will definitely be a good purchase for you. What did you think about the Inside Out blu-ray? Check out some Inside Out books that Disney released!